Have you recently felt totally lost at the poker table? If your answer is yes, you’re at the right place. The recent survey showed that many casino visitors come to these gambling temples just to watch the gameplay happening at poker tables. And when asked to take a seat and try out their luck, they often refuse, reluctantly saying that the whole notion of poker playing seems too complicated and puzzling. I am here to prove that draw poker isn’t too hard to work out once you take your time to learn it — after all, it’s one of the simplest variants of the game. Learning draw poker is similar to riding a bicycle. So if you’ve always wanted to learn to play poker but just never got an opportunity to learn it, let’s start step by step and teach you the rules of draw poker — the simplest form of poker games out there. You can’t find many casino tables offering classic draw poker like Five-Card Draw anymore, so you don’t have to waste your time learning what the Blinds are. 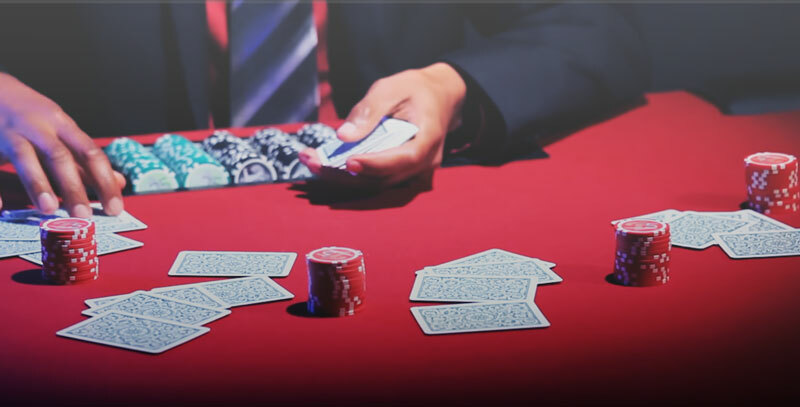 Let’s just say that you can find this mandatory first bet used at more demanding and lucrative poker variants, such as Stud poker or Texas Hold’em. On the other hand, draw poker games are reserved for relaxed poker nights at home with friends, where you play with small stakes. That’s why most of these games don’t require an opening bet. However, if you choose to play it by the book, then you should start your game with an ante bet. Ante bet requires that every player who wants to participate in has to pay a symbolic sum of money to form the initial pot. After that, the game can start. Some essential info you need to have before you start your first draw poker game is that you use a standard 52-card deck without Jokers, at least for most of the draw poker variants. The number participants in a single game ranges from two to ten. However, six players at the draw poker table is considered to be the optimal number. Now that we’ve cleared out the basic requirements, we can move on to explain the further course of the game. Every player receives five face-down cards. This is done in a single dealing. When every player receives their starting hand, they can start the first betting round. The round starts with the player to the left of the dealer. They have an opportunity to check (proceed without betting anything extra), raise (place a bet), or fold (give up this hand). Then, each player gets an opportunity to exchange up to three cards with new ones in order to potentially improve their hand (if they choose to keep all of them, the essentially stand pat). After all the replaced cards are dealt to all the participants, they can start betting again, following the same pattern as the previous round. Some of the players will fold, while others will stay in the game and try to take the pot home. All of you who decide to wait to the bitter end and collect the money have to know that the final part of the draw poker game requires you to reveal your cards and compare them with other players’ hands. The hand rankings stay the same as in any other major poker variant. The weakest poker hand is the so-called high card, while some of the better options would be two pairs, three of a kind, straight, flush, full house, four of a kind, straight flush, and finally, royal flush. Suffice to say, you want to opt for the strongest one whenever you have a chance, and that would be the royal flush. However, do keep in mind that the strongest poker hands are very rare, so you will often have to settle for a much weaker one, such as two pairs or a three of a kind. Apart from the classic ruleset, there are different draw poker rule variants as well, such as the popular Lowball draw poker. In that variation, you will win the pot with the weakest hand, while straights and flushes won’t count. 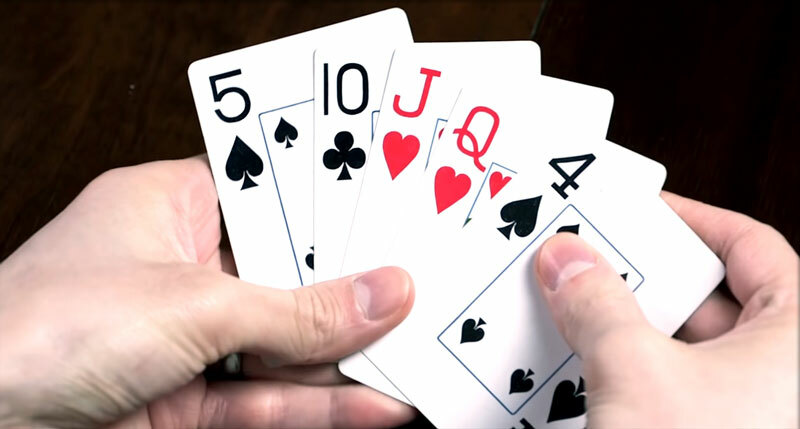 In that sense, the best possible hand you could get in a Lowball game would be Aces to Fives or Deuces to Sevens, depending on the Lowball ruleset you choose to apply. Get Ready for Hours of Fun! I hope that I managed to simplify the rules of draw poker for you. Now you can start playing it and improving your skills until you become an experienced poker player. So don’t be shy to sit at the poker table and start playing. This entry was posted in Tips for Game. Bookmark the permalink.